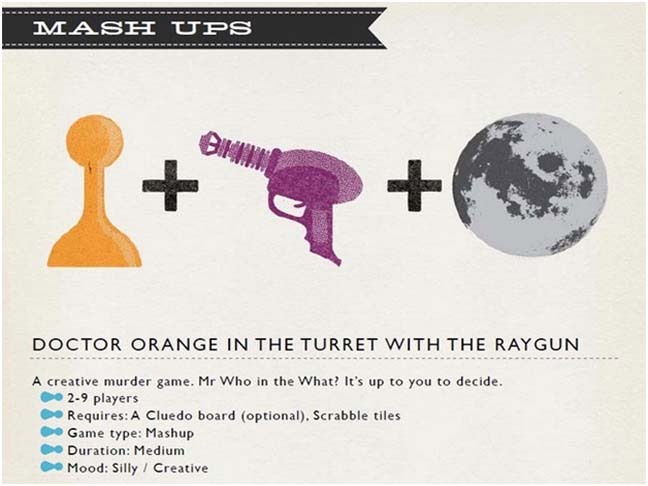 Make new games out of your old Monopoly, Trivial Pursuit, Scrabble and Clue sets with The Board Game Remix Kit. Here’s a kit to turn those old board games sitting in the closet into new games you’ll love! 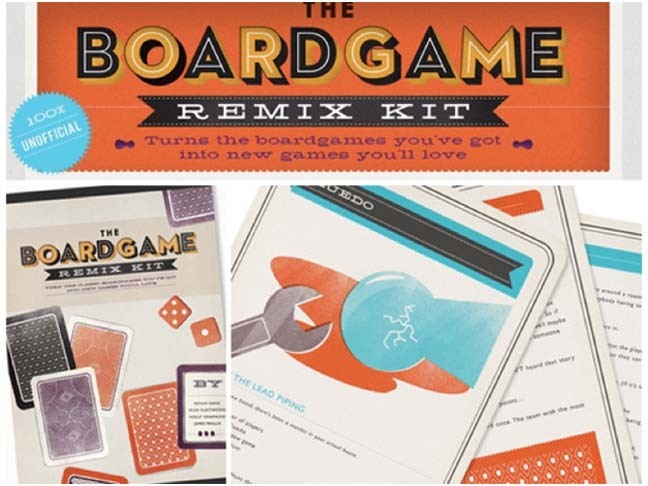 The Board Game Remix Kit works with all the classic family favorites, and has 25 games that can be played using the boards and pieces to the games you already own.It’s hard to toss out or give away those old family board games, even after the kids have long since outgrown them. Some are classics you simply can’t part with but feel guilty for storing in the closet or attic for years. That’s where the Board Game Remix Kit comes in. It keeps things interesting by bringing new rules to your favorite games with complete alternate rules for Monopoly, Trivial Pursuit, Scrabble and Clue–25 game “remixes” in all. While the printed book copy of the kit is still listed as “coming soon,” an immediately downloadable eBook version is available for $4.60 (£2.99) as well as an IPhone App for the same price. You can also order a set of limited edition cards (though they only feature 12 game remixes) for $18.50 (£11.99). Visit The Board Game Remix website for more information! The IPhone App is available through the iTunes App Store.